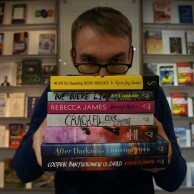 Vogel's Award shortlisters to the fore! Both Gretchen Shirm, with Where the Light Falls, and Sam Carmody, with The Windy Season, were shortlisted entrants for the Australian/Vogel’s Literary Award in 2014, and now we’re delighted to be sharing their debut novels with the world in July & August this year. Stephen Romei at the announcement of the 2016 Vogel’s Award winner noted that one of the strengths of the Vogel’s Literary Award was that it wasn’t just a path to publication for the winner, but many of the shortlisted entrants too, and once again the 2014 (and 2015) shortlist shows this to be the case. 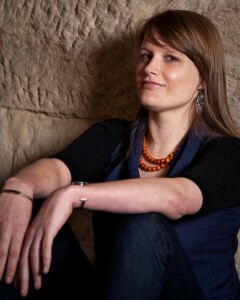 Along with Sam and Gretchen this year, fellow 2014 shortlister Stephanie Bishop was also published last year to great success, and given how strong both Stephen Romei and fellow judge Rohan Wilson thought this year’s shortlist was, you can expect to see some of those authors joining this year’s winner Katherine Brabon as published authors in coming years. 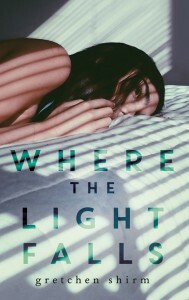 Where the Light Falls tells the story of Andrew, a photographer in his 30s who comes back to Australia when he hears that his former girlfriend has disappeared. By the time he gets back, her body has been found, and everything points to suicide, though the coroner’s findings are left open. 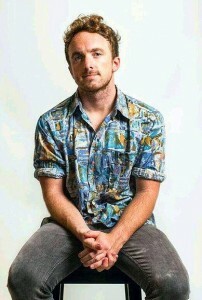 As Andrew unravels the mystery of her death, he puts his current relationship at risk for reasons he barely understands. At the same time he meets a damaged teenage girl whom he knows will be a riveting subject for his new series of photos. As he struggles to understand why his ex’s death has affected him so viscerally, Andrew realises that photography has become an obsession predicated on his need to hold on to the things he has lost in his life. He finds himself re-evaluating his past, his art, and what he wants his life to mean. Shirm is a writer of deft skill. Her prose is gentle, uncluttered, and suffusedwith a compassionate, clear-eyed intelligence. Delicate, restrained and sensitive, Where the Light Falls is nonetheless steadfast in its examination of our responsibilities as artists, and as people. Sharp, unsentimental and immaculately composed. In lean, elegant prose Shirm explores the silences and mysteries that shape the artist’s mind and work. The novel’s landscapes are vivid and charged—the mystical Lake George, the frozen streets of a scarred Berlin. Against these atmospheric backdrops guilt and regret, memory and sensation, art and life collide. Through her acutely observed portrait of Andrew, Shirm asks how deeply the artist must know himself before he can make art from the lives of others. A young fisherman is missing from the crayfish boats in the harsh West Australian coastal town of Stark. There’s no trace at all of Elliot, there hasn’t been for some weeks and Paul, his younger brother, is the only one who seems to be active in the search. Taking Elliot’s place on the boat skippered by their troubled cousin, Paul soon learns how many opportunities there are to get lost in those many thousands of kilometres of lonely coastline. 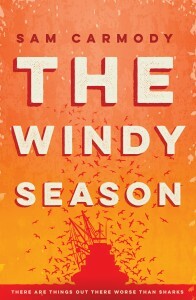 Fierce, evocative and memorable, this is an Australian story set within an often wild and unforgiving sea, where mysterious influences are brought to bear on the inhospitable town and its residents. Sam Carmody is a real literary talent, with an artist’s inquiring mind and a natural feel for the beauty and toughness of language. Firstly, three words. Sense. Of. Place. The fishing village of Stark was fully realised in my mind. I could feel the crushing small town claustrophobia, that sniff of fear in the air. This is not a place where strangers are regarded with warm smiles, they’re looked at with suspicion and contempt. Sam’s deft description of Stark could be any small town on the water anywhere, really. If there’s one thing that has stayed with me past the final page, it’s the town of Stark. I was similarly impressed with the characters. I have to say, for me, the peripheral characters stole the show. Fred, Richard, Jules. These are multi-faceted, beautifully flawed characters that were clearly recognisable and sympathetic, even with their sometimes-murky motivations. I feel like The Windy Season is a quintessential Australian coming of age story. It’s dark, yes, but at its heart, it’s the story of a seventeen year old kid finding his way- navigating a strange place, through grief, through the pure naivete of being a teenager. To me, it sits very comfortably next to Jasper Jones or, most especially, Breath. I know that’s a big statement, but the prose was clear, surprisingly sharp and Wintonesque. One of the best Aussie debuts I’ve read. Cannot wait to champion this book at the shop, cannot wait to read what comes next from Sam Carmody. Sam Carmody has captured so many things perfectly in his debut novel. The Western Australian small town of Stark and it’s archetypal characters, and the characterisation of Paul, Michael, and even Swiss drives the story forward. I couldn’t put this down, I had to know how it all came together in the end. It’s also one of the few books I’ve thought about for days after finishing it, even including some furious discussion with other staff who were lucky enough to read an advance copy. I hope to see this become not just a bestselling Australian book, but a book for West Australians to be proud of.